How Much Does a 30×40 Steel Building Cost? When potential customers call in to Sunward for a 30×40 steel building price quote, we start by asking for the details of the project. What type of building do you need? Where will the pre-fabricated structure be located? Will it face harsh weather? The answers to these questions will determine what snow loads and wind loads you need for your building. Naturally, more materials equate to a higher cost per square foot, but the actual usage of your building can also help to reduce some of the costs. Our sales team and staff of professional steel building engineers work together to incorporate the best options for your budget. An average 30×40 steel building cost range is from $9,100 to $11,000*. When broken down into a price per square foot, 30×40 steel building prices currently range between $7.50 and $9.00 per sq ft*. 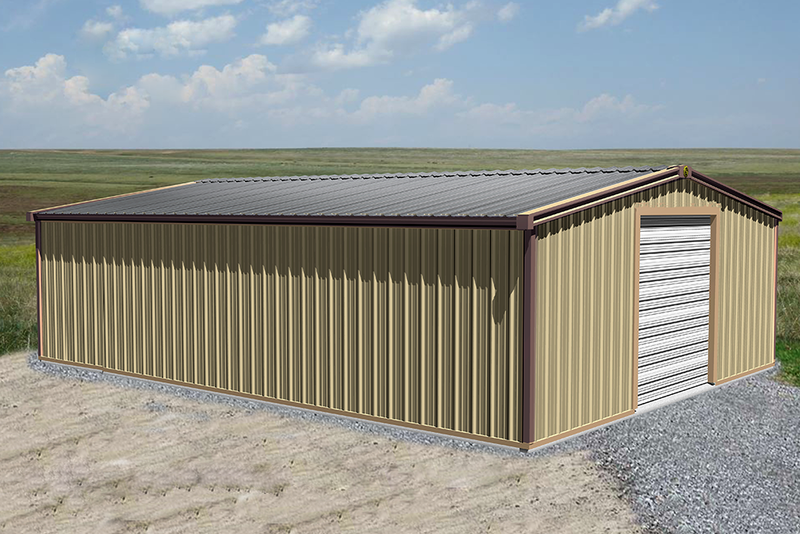 Thinking About Purchasing a 30×40 Steel Building? Whether you’re planning on building a two car garage, equipment storage unit, workshop, or metal barn there are many factors to consider in order to nail down a price point for your steel structure. Once you have all of the components outlined and a plan of action it’s easiest to determine price points. With a building that’s designed for your needs, the cost will also vary based on its features. The most common features typically associated with a 30×40 metal building are doors, garages, windows, siding, etc. These questions will help you get started pricing your building. Considering purchasing a pre-engineered metal building for commercial or industrial use in your area? Get a custom steel building price quote. *Average pricing is based on current price of steel, which is subject to change at any time. * Note – Actual colors may vary based on screen and monitor resolution / settings. Color charts and / or metal color chips are available and should be reviewed before choosing final building colors. Should I Insulate My Building? What Is The Best Roof Pitch For My Building? How Can I Customize My Building? What Is The Average Cost Of a Steel Building?